God," and " When Christ Comes." With his signature style, Lucado speaks to the heart and addresses matters of eternal importance. In "Just Like Jesus," Lucado illuminates the simple truth that above all else God longs for us to become just like Jesus. 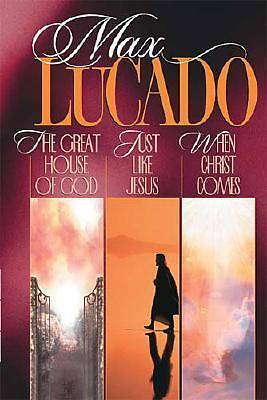 In "The Great House of God," Lucado uses the Lord's Prayer to take readers on a guided tour of the spiritual dwelling place God has prepared for you. And in "When Christ Comes," Lucado offers a fresh perspective, describing the end of time as "the beginning of all good things." Meet Max Lucado as a great thinker, an unforgettable teacher, and a dear friend.